Some of the best things in life don’t last forever. 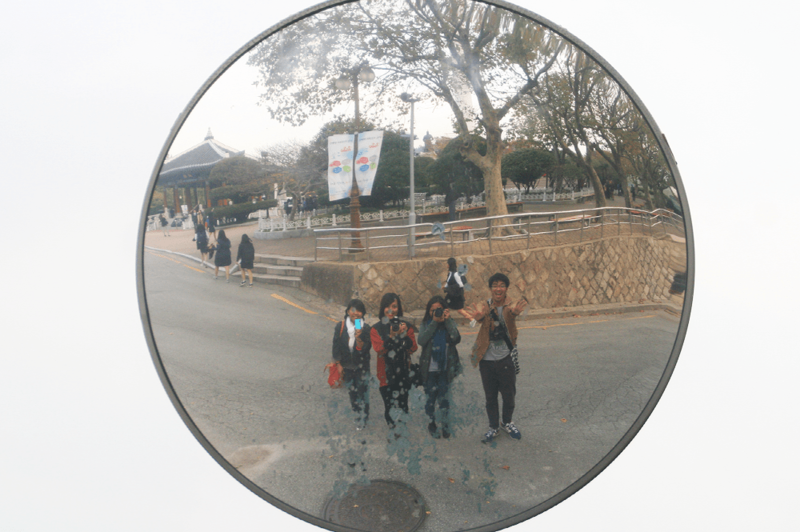 Thus, our Busan trip sadly had to come to a close. It was short, but it’s definitely my favorite part of the trip. We decided to end the day exploring some of the popular landmarks in the province. 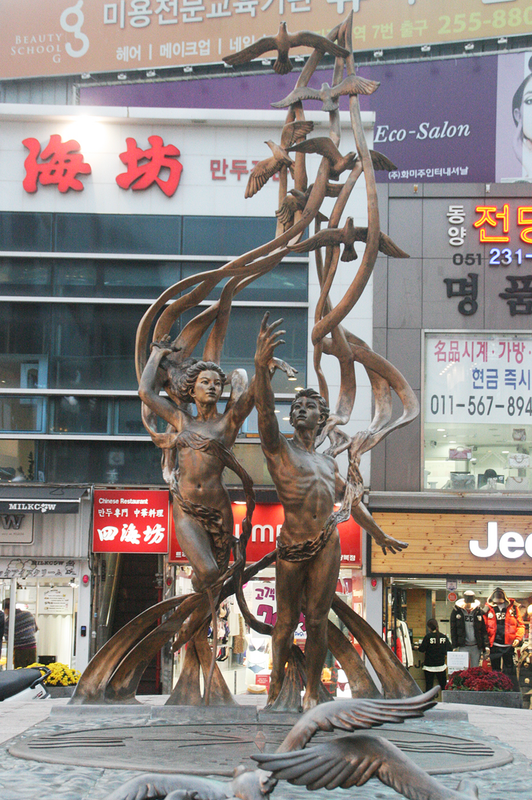 From the Jagalchi Fish Market, we flagged a taxi and asked to be dropped at Busan Tower located at Yongdusan Park. It’s near the market, but we wanted to save time so we rode a cab. The taxi driver drove away from Napo station, but ended up taking a U-turn and dropping us back near the market. 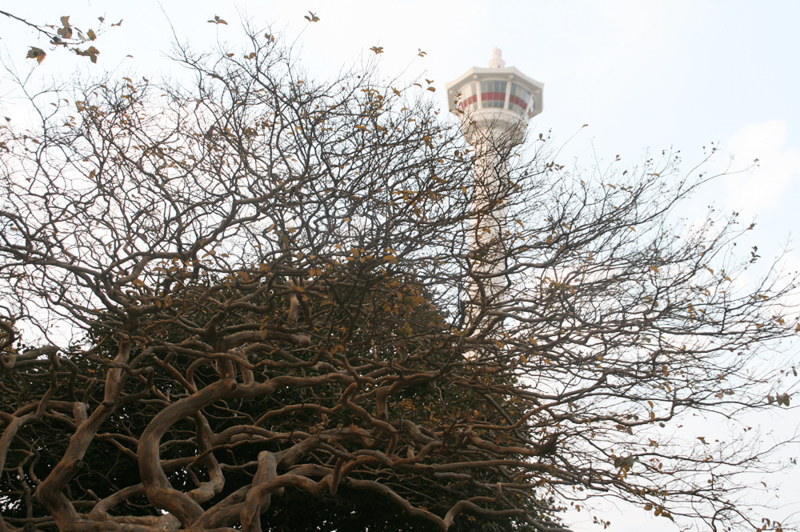 Apparently, we merely had to cross a street or two to reach Busan Tower! We should have just asked for directions. Oh well. The entrance of the stairway leading to the tower is at BIFF Square, but we decided to leave the shopping street for later. 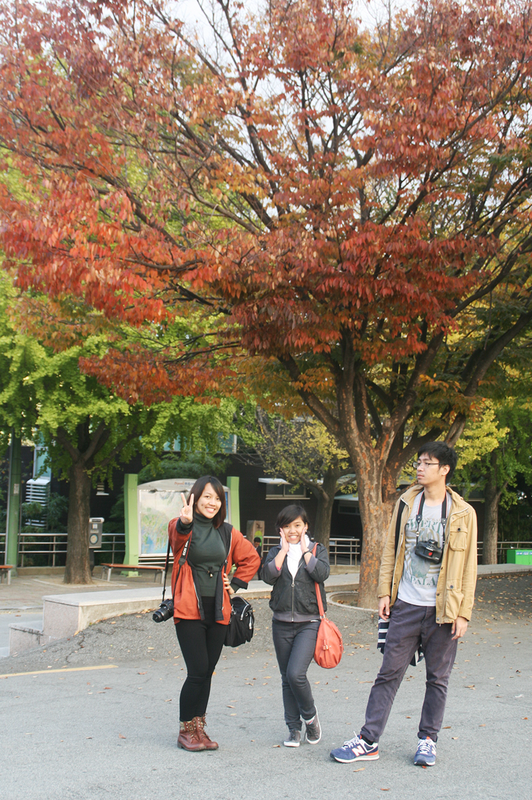 At the start of the trip, Kimpee said we should refrain from making it too obvious that we like KPOP and K-dramas. But when we kept seeing posters and ads of our favorite groups, how could we stay quiet? 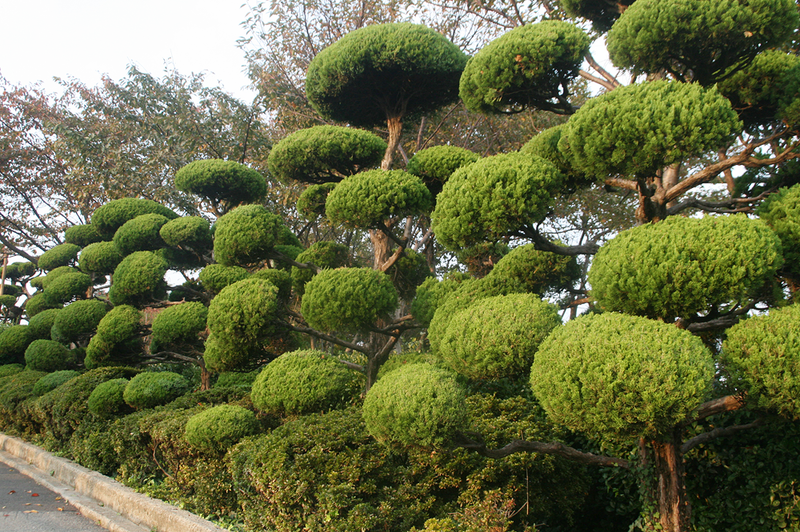 How could we stop ourselves from spazzing? And when we’re straightforwardly asked whether we like KPOP, how could we say no? How could we lie through our teeth and denounce our oppars? 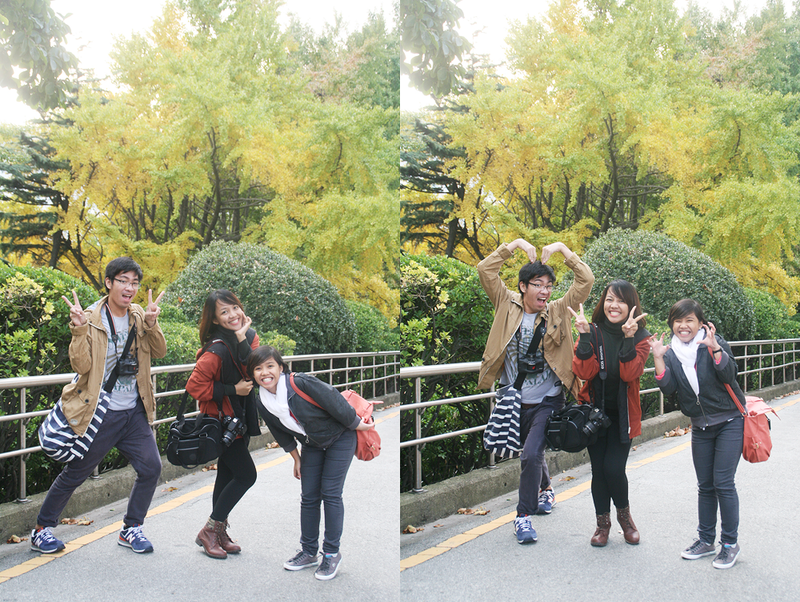 For a good two hours, we did nothing but take photos and fool around in Yongdusan Park. We had to ran away when there were passing cars and buses. Good thing only a few passed by. We were in the middle of a street, but the view was too good to be missed. 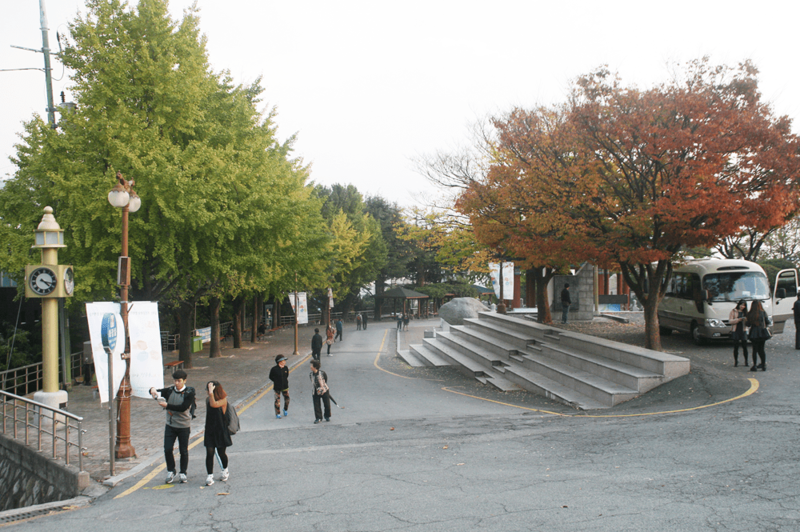 Oh the colors of autumn, how I miss you so. 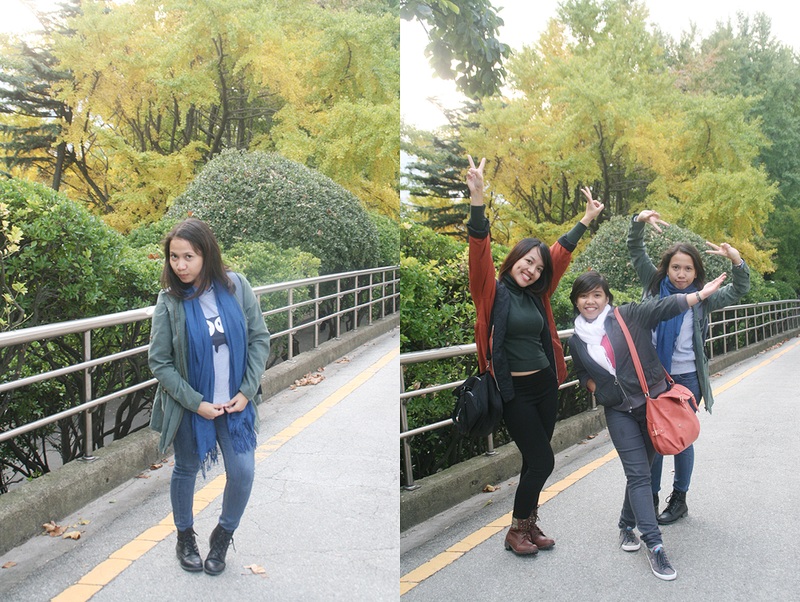 And like always, we decided to forgo entering the Busan Tower and just admire it from the ground. I doubt we missed out on anything. 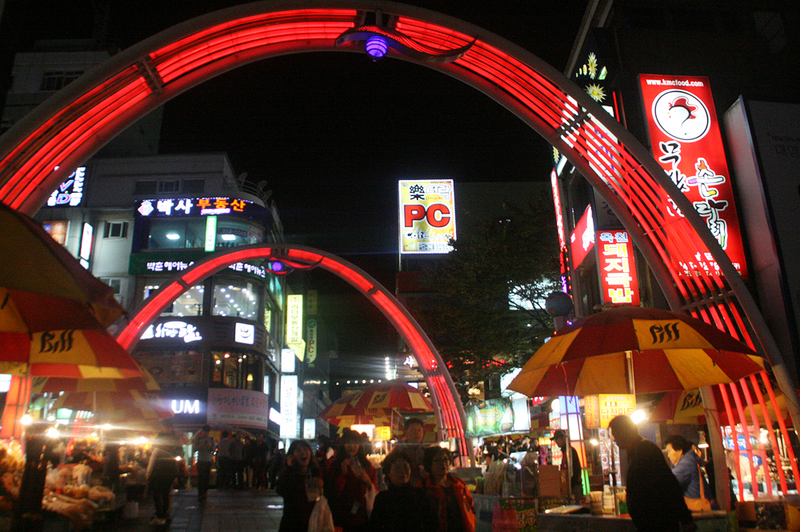 We saved quite a lot of Korean Won from refraining to pay the entrance fee. Besides, there’s a platform that already allowed us to have an awesome view of Busan! As always, couples were everywhere. 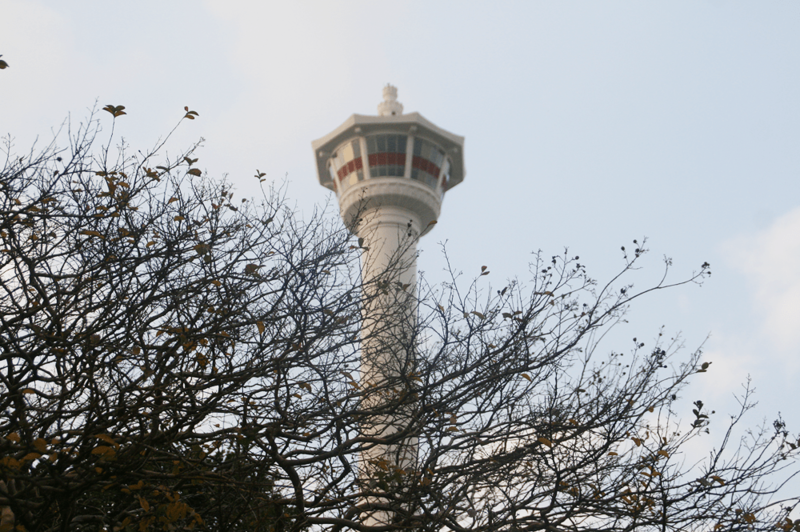 I’m taking a guess that it’s the N Seoul Tower of Busan. 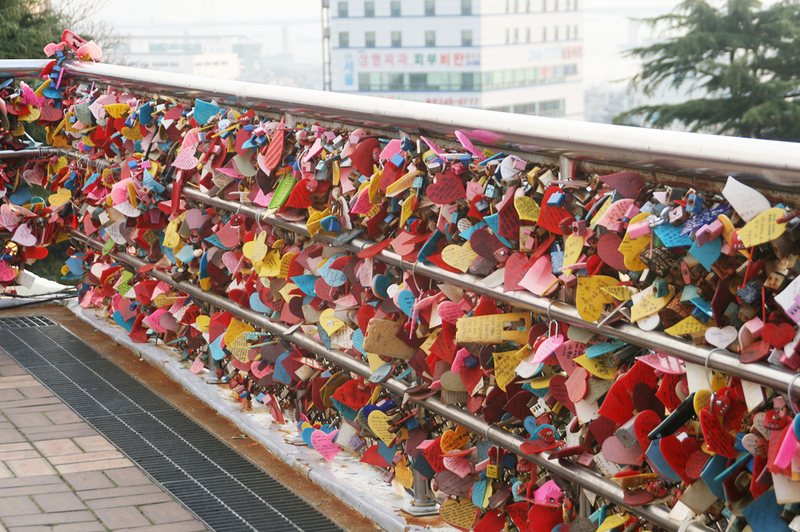 There were even locks of love in the viewing platform! Though there weren’t that many tourists, there were still tons of people walking around. After that, we spent our last hours in the province strolling around the BIFF Square. 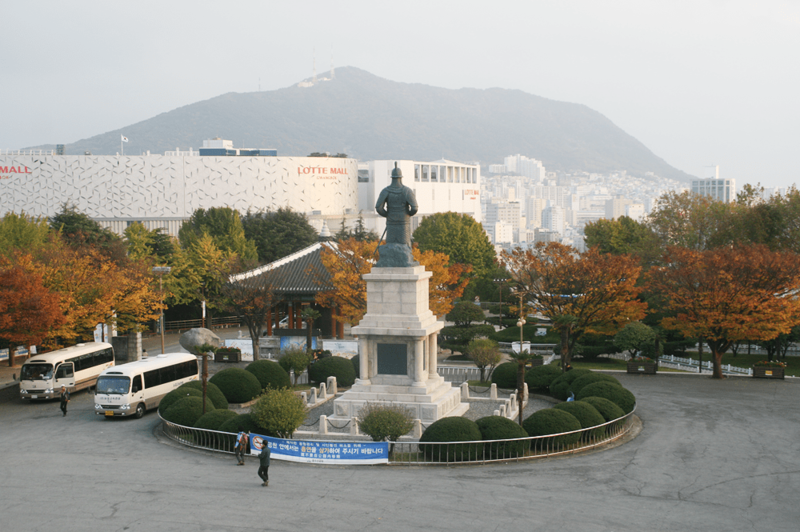 Based on the name itself, BIFF Square used to be where the Busan International Film Festival was held. 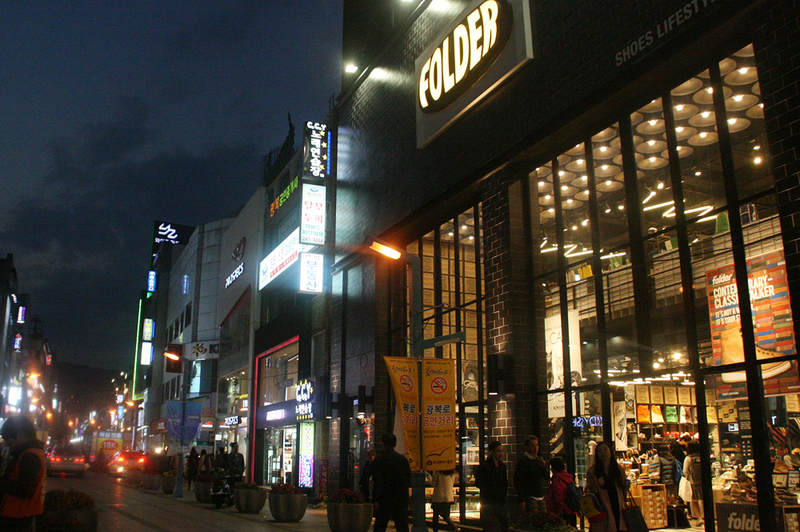 Now, it’s a shopping street full of Korean cosmetic and fashion brands you can also find in Seoul. 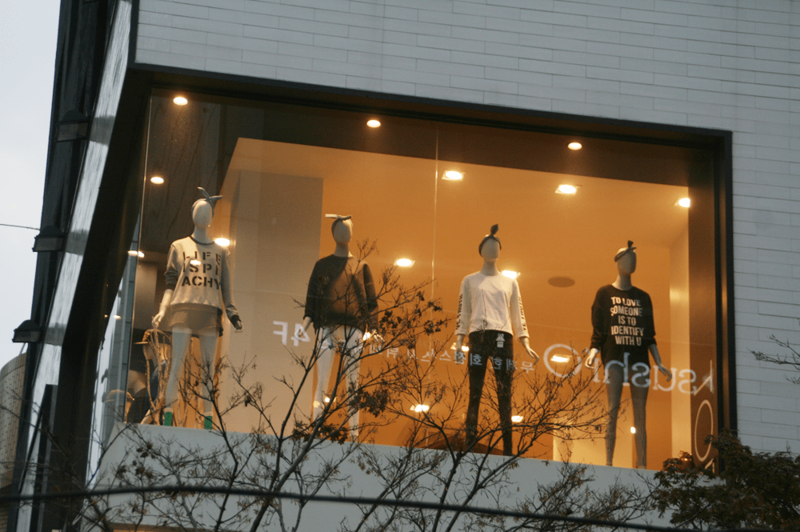 I’m not sure if it’s the main place for shopping in Busan, but we decided to refrain from hoarding and just looked around. It looked pretty at night with all the small trees decorated with white and blue lights. Though it was a nice place to go for a walk, there were passing cars and motorbikes all the time. 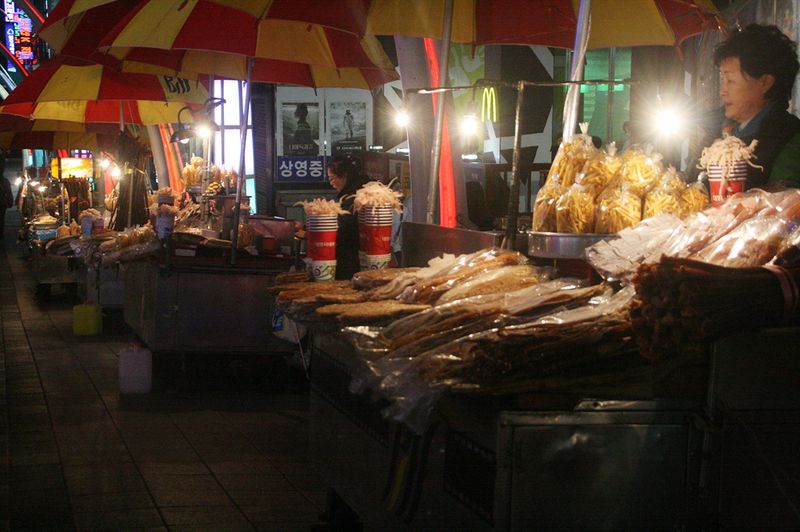 Near the Napo subways station, we were surprised with the array of carts selling street food. There were so many that I seriously didn’t know which one to eat first. 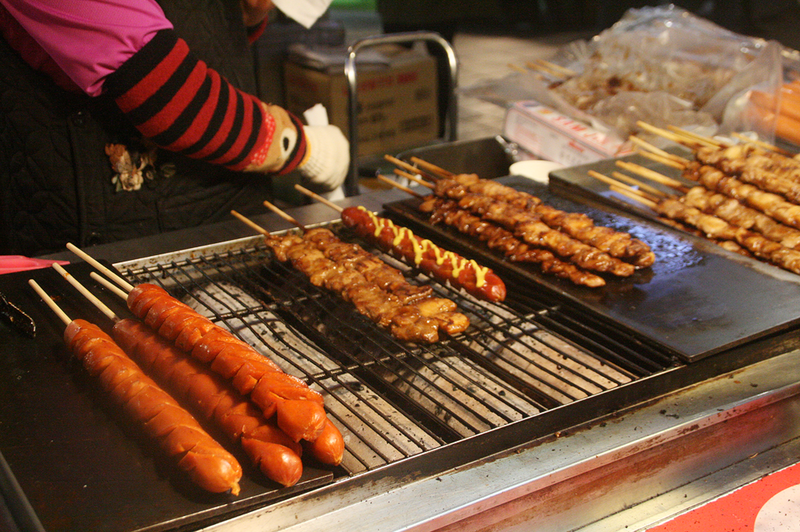 In the end, I went for the hotdog. I also don’t understand my decision. 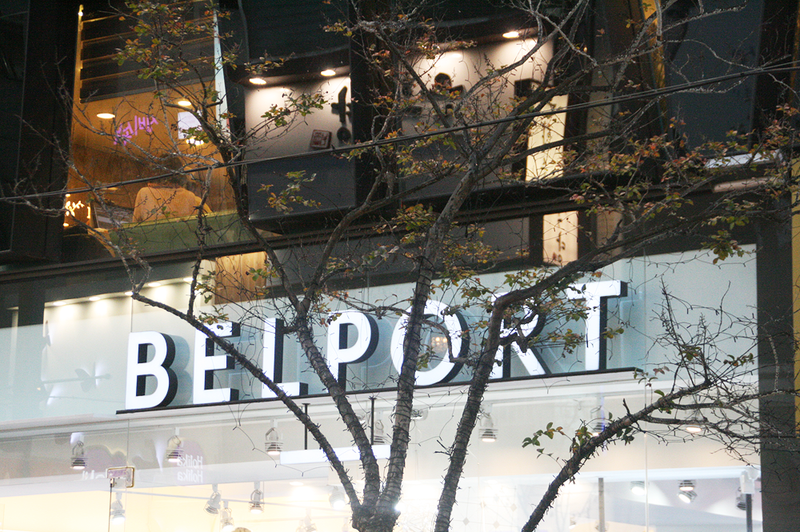 We didn’t spend that much time in BIFF Square because we were rushing to go back to Seoul as early as possible. So as much as we’d love to spend more time with the lovely Busan, off we went to KTX station. It’s really too bad because there were still so many places to explore. I didn’t even get to see the quintessential book street in BIFF Square, and we only got to visit two beaches! 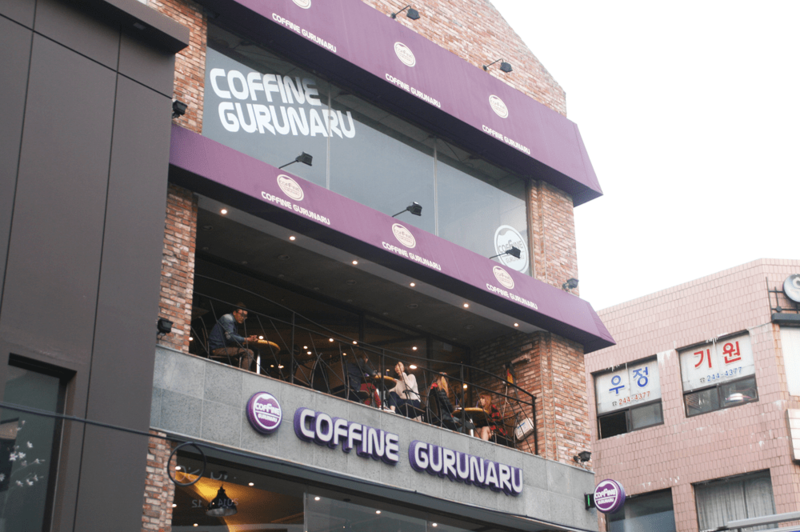 Then again, I can just think of it as another reason to save and to come back to Busan. 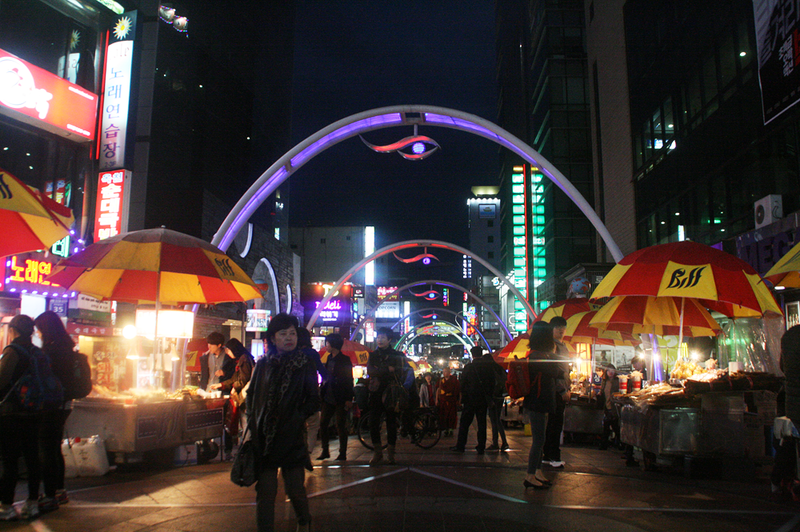 Our time together was short, but Busan, you had me all smitten. P.S. I shared a few tips when traveling to Busan on the May issue of Cebu Pacific’s Smile magazine. You can view/download it here. 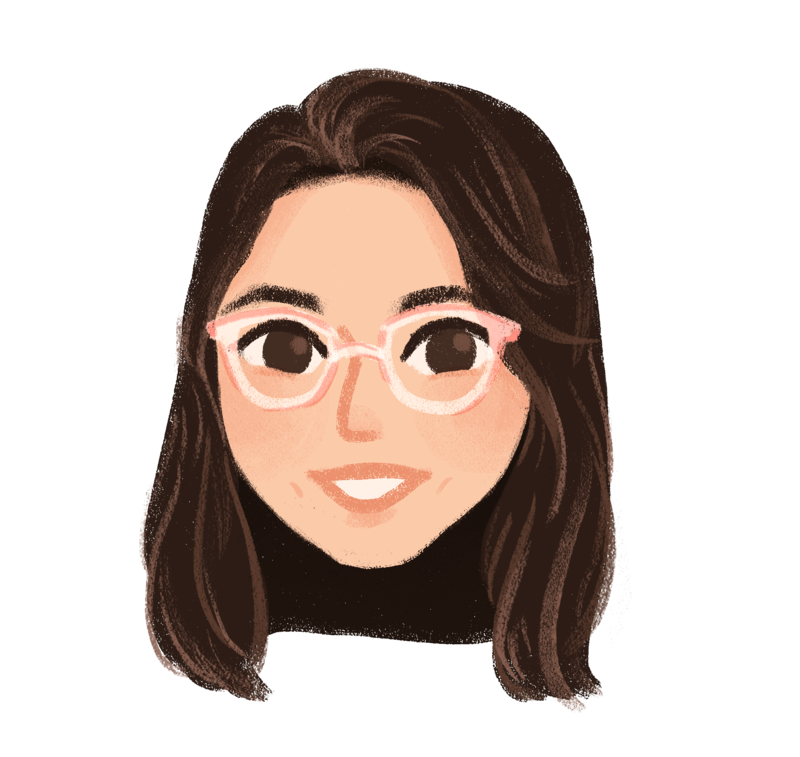 It’s incredibly short but I’m so happy. Heh. You can find my contribution on the Trip Journal section. Woohoo. 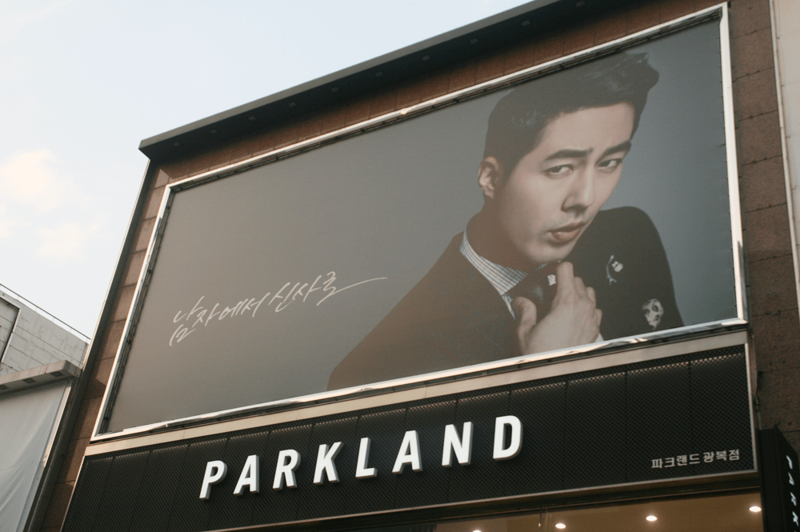 Drop off at Nampo Station (Line 1) and take Exit 7. 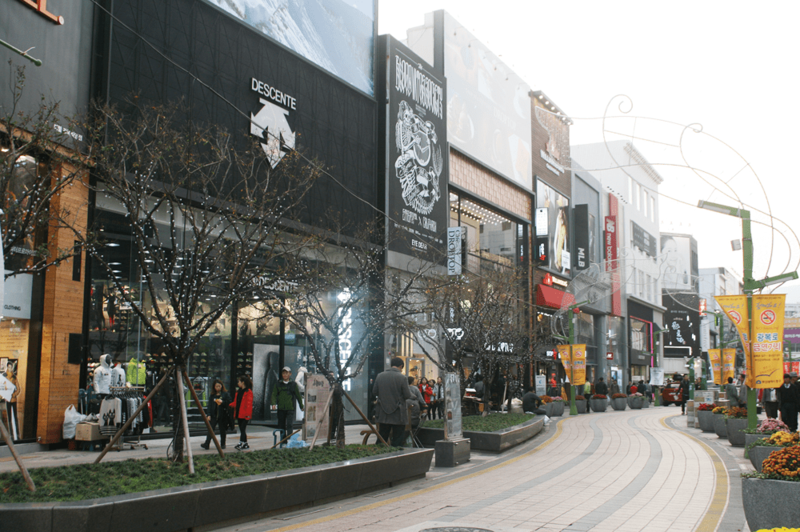 Go 350m on Gwangbok-ro Street towards the Yongdusan Park escalator on the right. 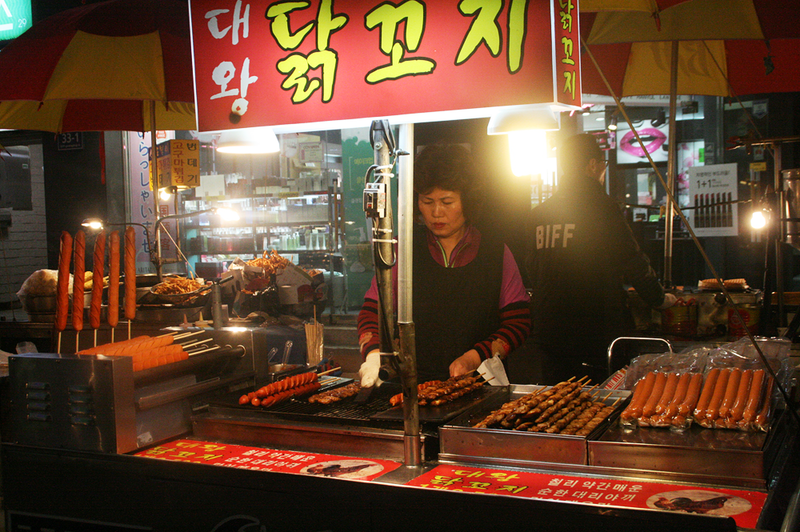 OR: Go out Exit 1 of Nampo-dong Station, walk 10 minutes. OR: Jagalchi Station (Line 1). Take Exit 7, cross the street, and BIFF Square will be on your left. 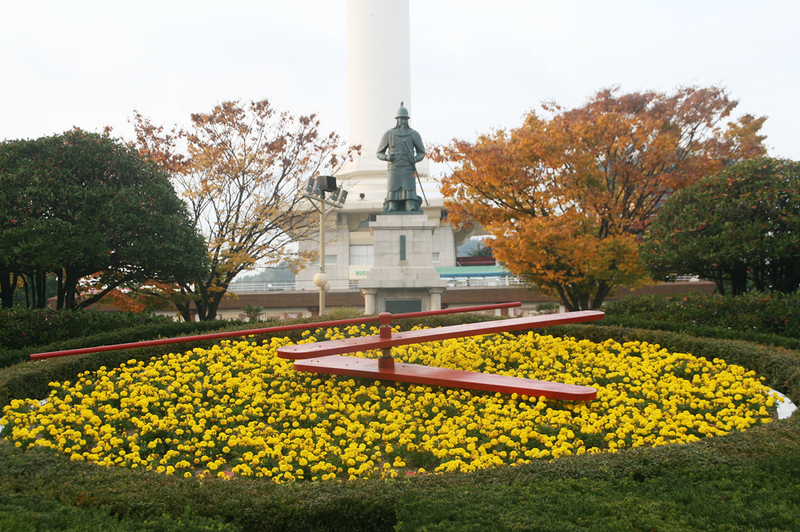 Look for the yellow and red umbrellas.